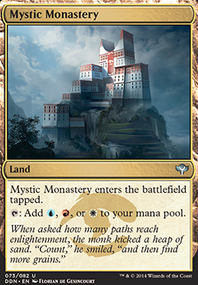 As Copy Enchantment enters the battlefield, you may choose an enchantment in play. 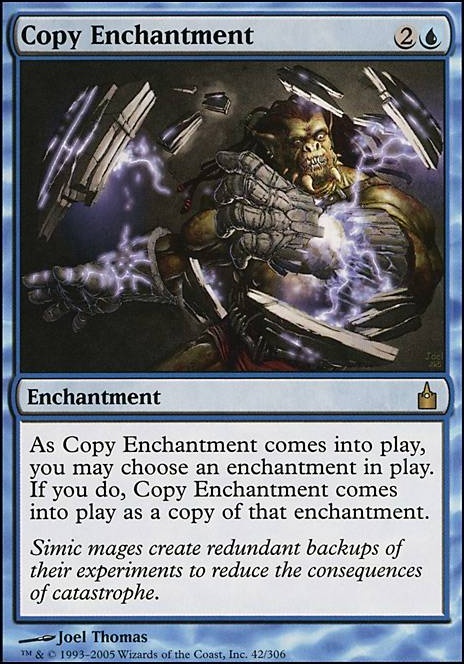 If you do, Copy Enchantment enters the battlefield as a copy of that enchantment. Contagion Clasp and Inexorable Tide have proliferate, which would increase the age counters on Herald of Leshrac . Paradox Haze adds an additional upkeep, which can increase the effect of Herald. 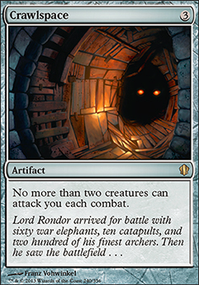 Paradox can be copied by Estrid's Invocation , Copy Enchantment , or Clever Impersonator . 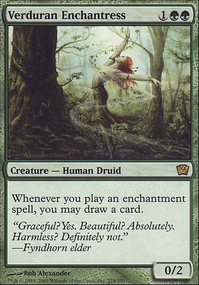 Anything that affects card-draw easily affects the chances of drawing Herald, and there are quite a few cards that do that in the deck. 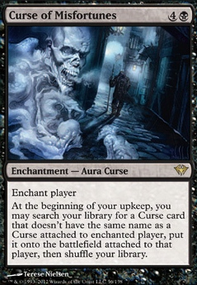 If you're running Copy Enchantment why not run Estrid's Invocation ? It does the same thing except it's repeatable over time. These cards can make the triplets into a nightmare. Paradox Haze giving you an extra upkeep which in turn lets you control a second player. Copy Enchantment gives you control of a third player if you Copy the haze. 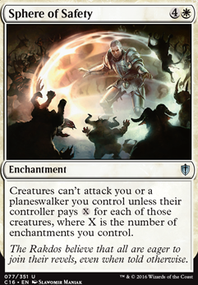 Estrid's Invocation gives you control of a fourth player. 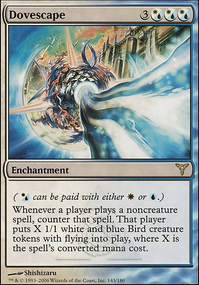 Strionic Resonator would give you control of a fifth if you have that big a game going. Basically you win the game if you get most of these cards in play. And one creature in particular can get 4 of them for you. 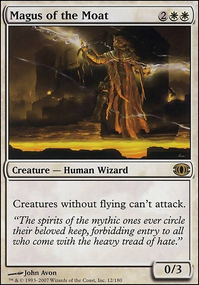 Consider adding Zur the Enchanter to the 99 to help findthe others if you add them.